PRICE: Not sure but it is around rs.500-600. 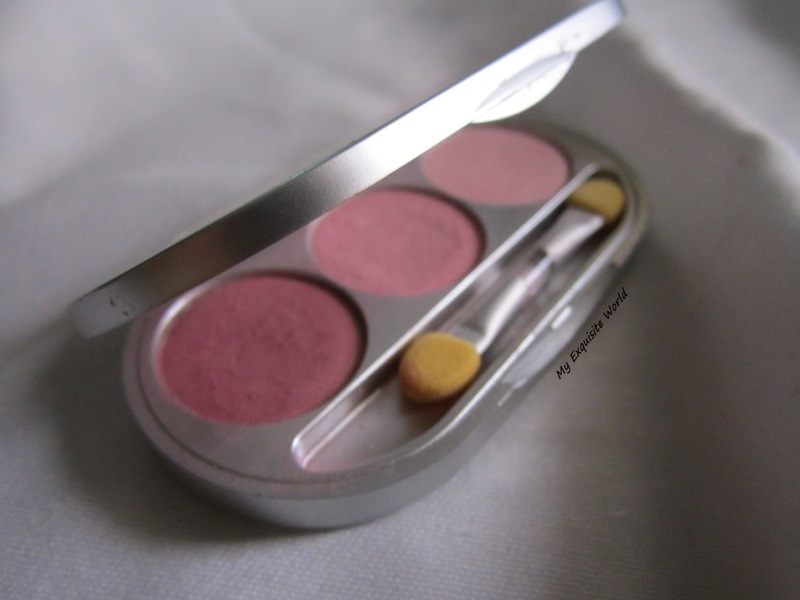 PACKAGING: The packaging is simple with an oval shaped metallic outer cover having a small rectangular mirror at one end and 3 shades of peachy pink and a small sponge applicator at the other end. 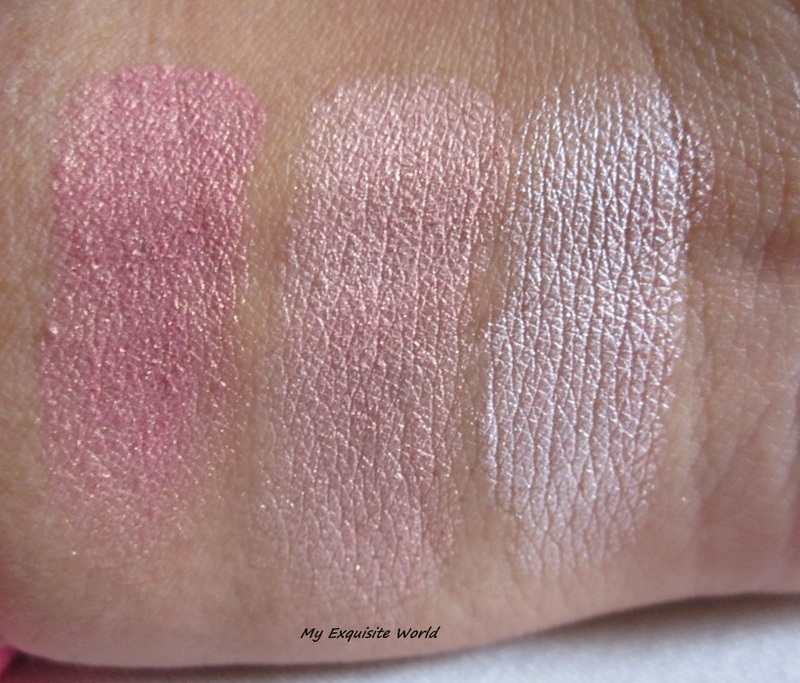 SHADES: All the 3 shades are soft.The first one is light pink,the second shade is soft peachy pink with golden sheen and the third shade is lilac pink with silver sheen. 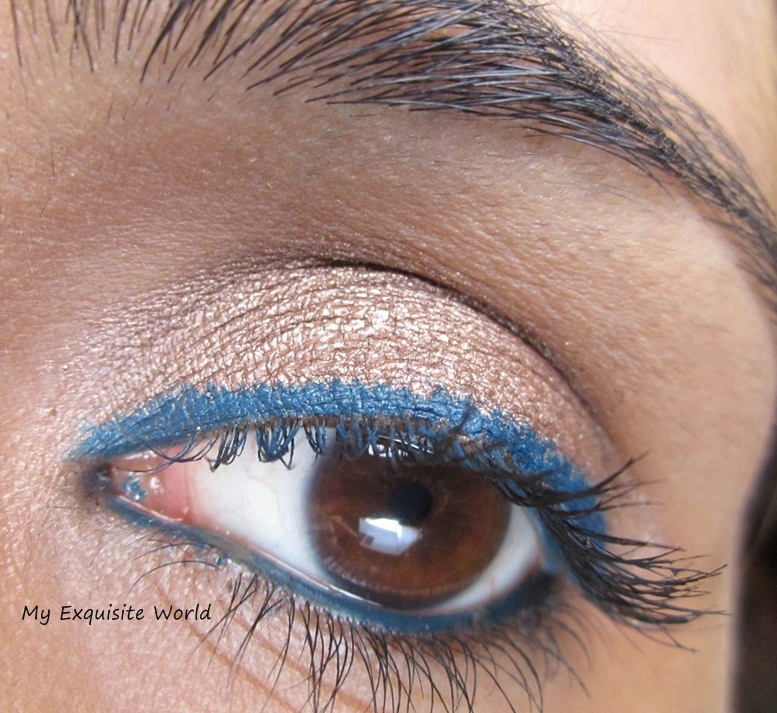 MY VIEWS: The texture of the eyeshadow is soft and non-gritty.They are easy to blend.The first shade is a bit chalky and has fallout.All the shades are decently pigmented.However,it becomes difficult for me to work with all the 3 shades together as there is no darker colour for he crease and my eyes look very swollen with light shades.They stay for decent amount of 4-5 hours.I have used these shades wet as well and the intensity of the shadows does increase and the shades look more beautiful. 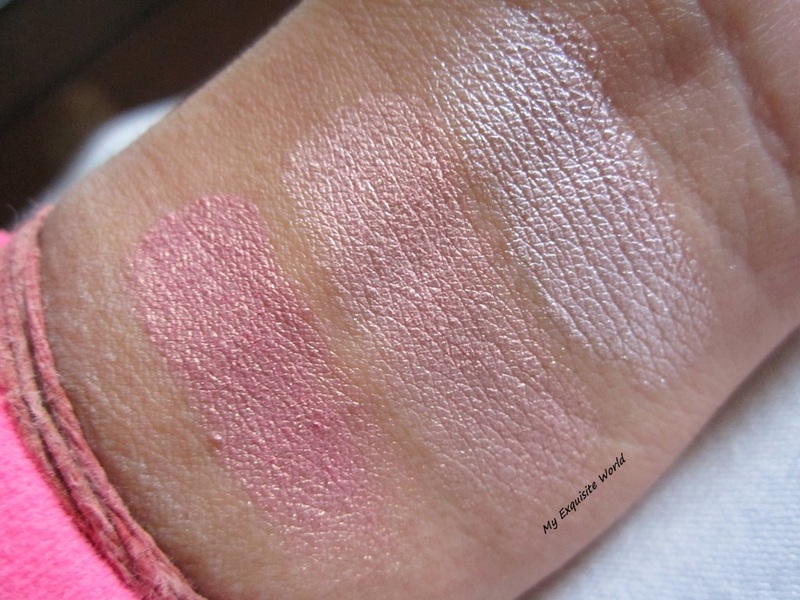 RECOMMENDATION: I like the shades and the effect they have when used individually.However,I have never been able to use the trio shades together.This is a decent trio with soft subtle shades that can be used for day looks. 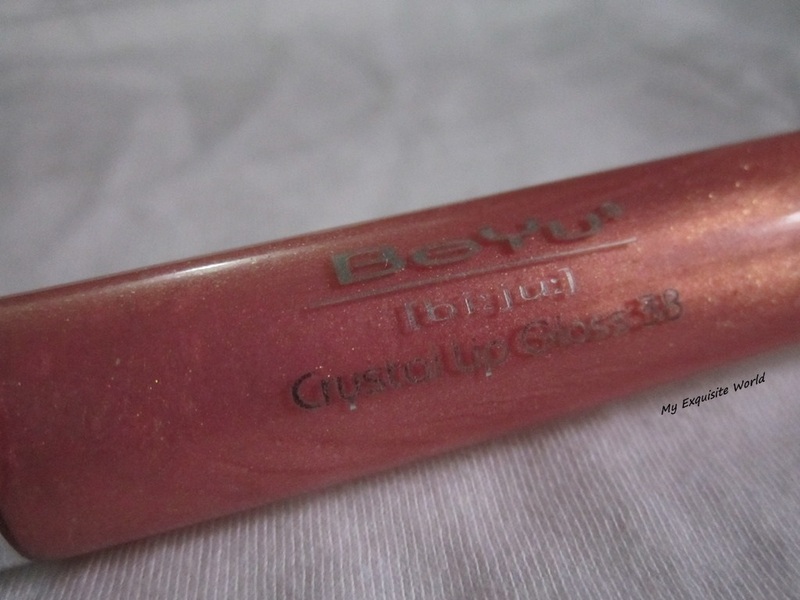 ABOUT: Lip gloss with glitter particles and a touch of color in a stylish tube! 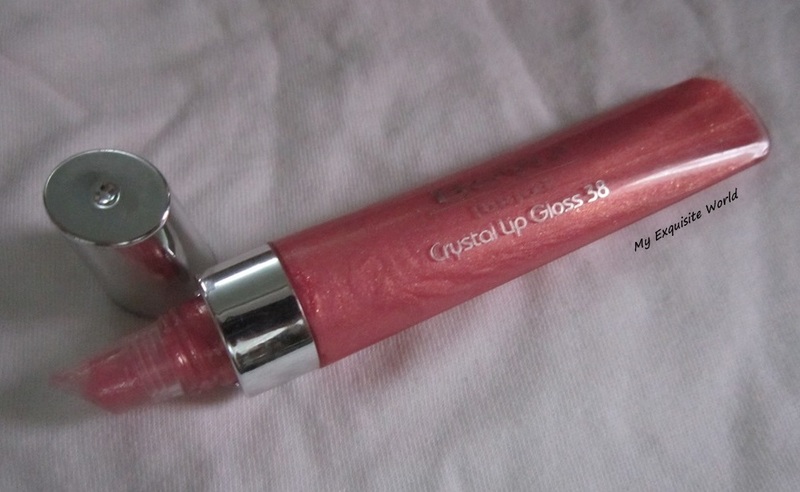 The lips sparkle like crystals and become the center of attraction of any party make-up. 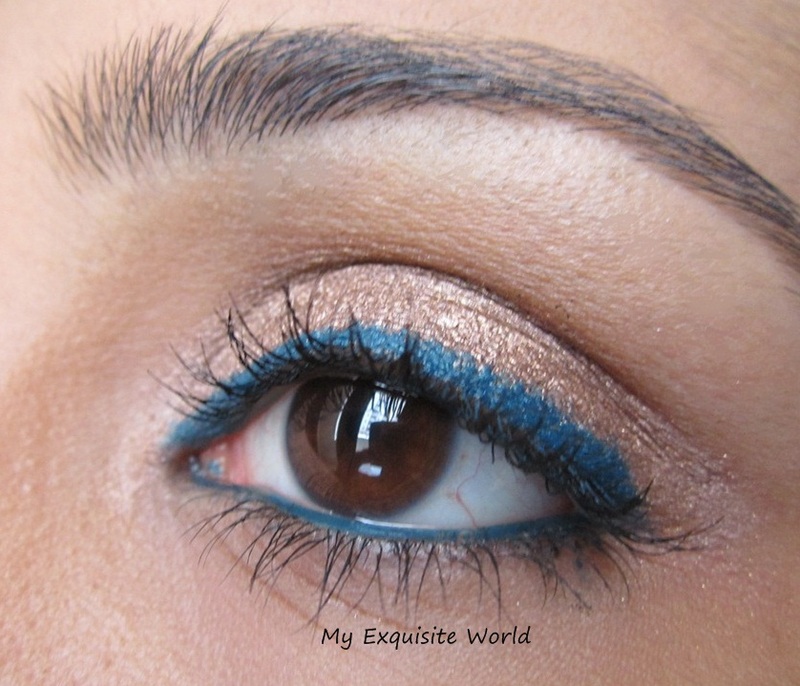 The soft shades give only a hint of color on the lips without stealing the show of the glitter particles. Thanks to the non-sticky texture, the gloss can be applied easily and evenly. 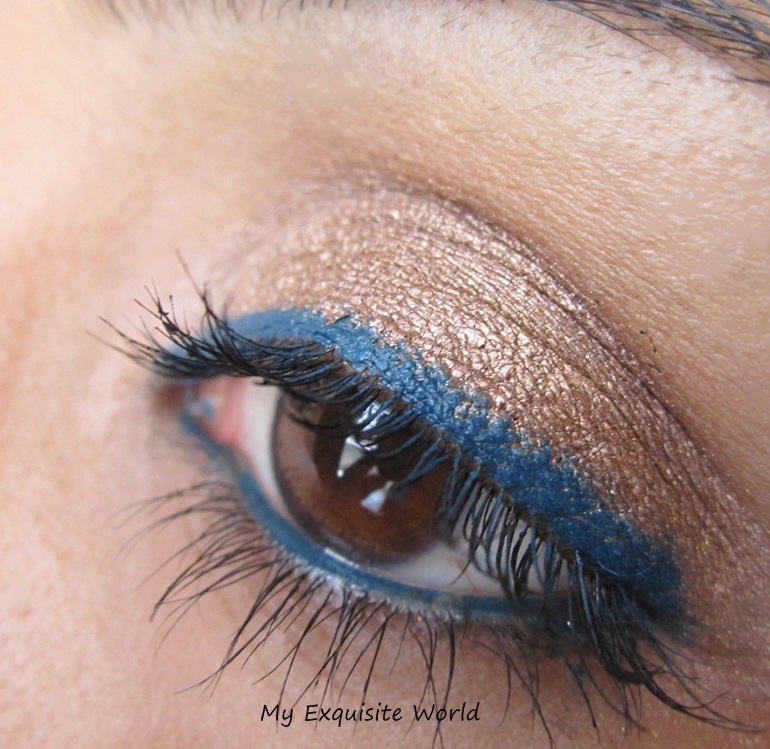 The colors vary from a decent shimmer to an extreme glitter look! PACKAGING:The packaging is simple with an elongated tube which is transparent.It has to be squeezed to get the gloss out.No wand or applicator is provided. 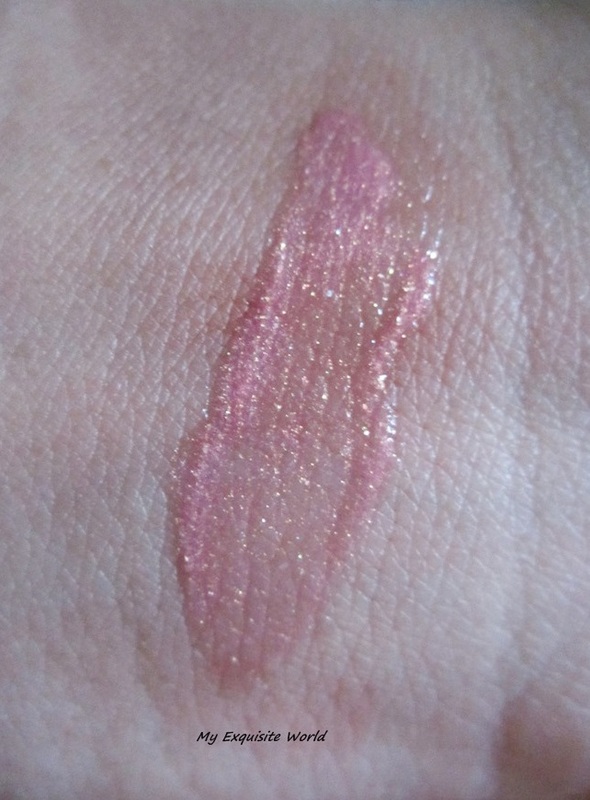 SHADE:The shade is a gorgeous pink peach with golden shimmer in it.The shimmer adds sheen to lips. 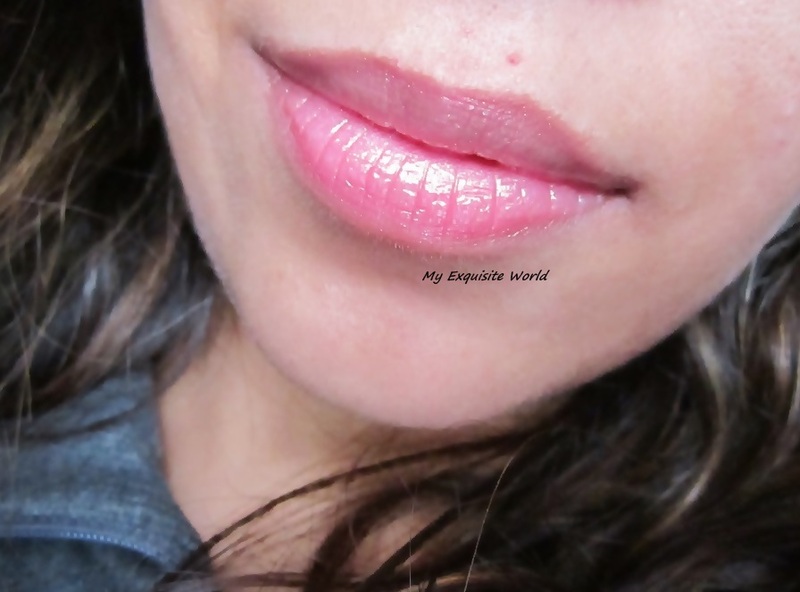 MY VIEWS:I like the golden sheen that the gloss imparts to the lips making them look healthy and a bit pouty.The gloss has a smooth texture.The formula is hydrating and mositurising.It goes on smoothly on lips and the shimmer present is very subtle though visible on lips. 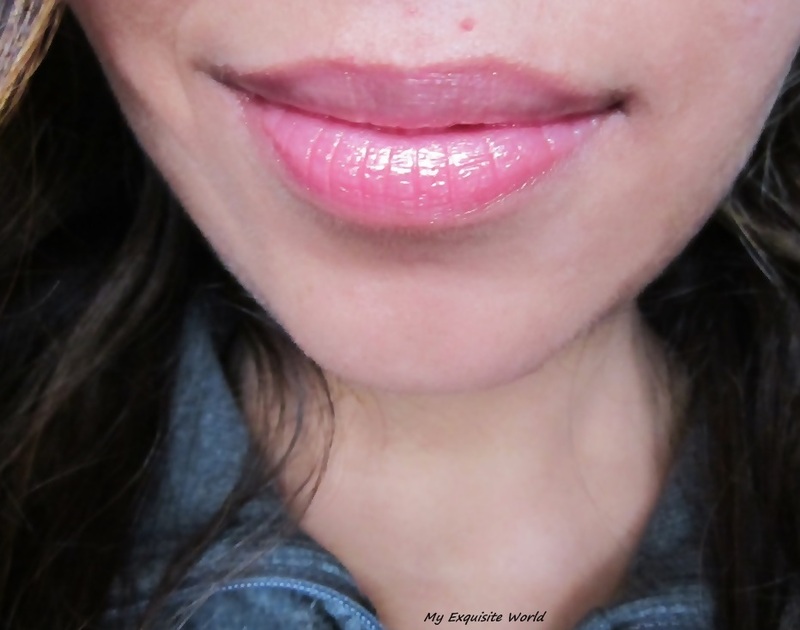 On application,I feel mild tingling effect that goes away within seconds.Though,the gloss doesn’t lead to any lip pouting or such,it does make them appear full because of the high shine it provides.The shade is sheer and adds shine and no colour.It stays for about 2 hours on my lips.However,the shimmer stays even after wards. 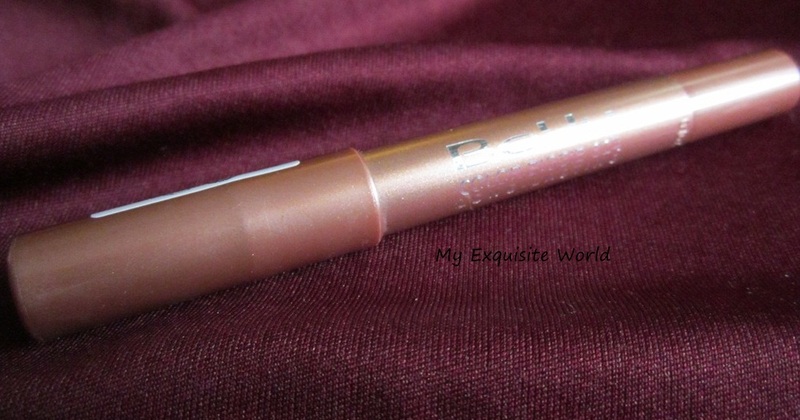 RECOMMENDATION:It is pricey for the just being a shine high shine gloss.The formula is great but I would have appreciated if it had some colour as well. 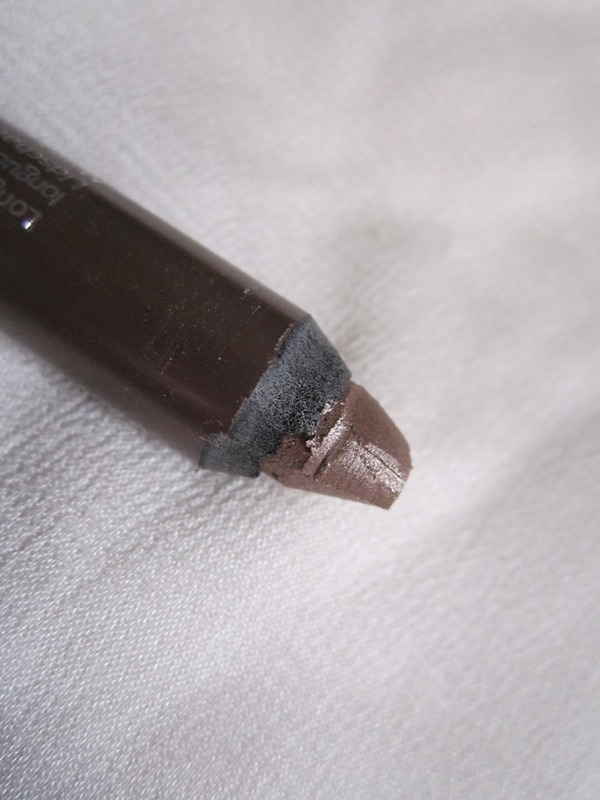 MAC satin taupe dupe!!!! 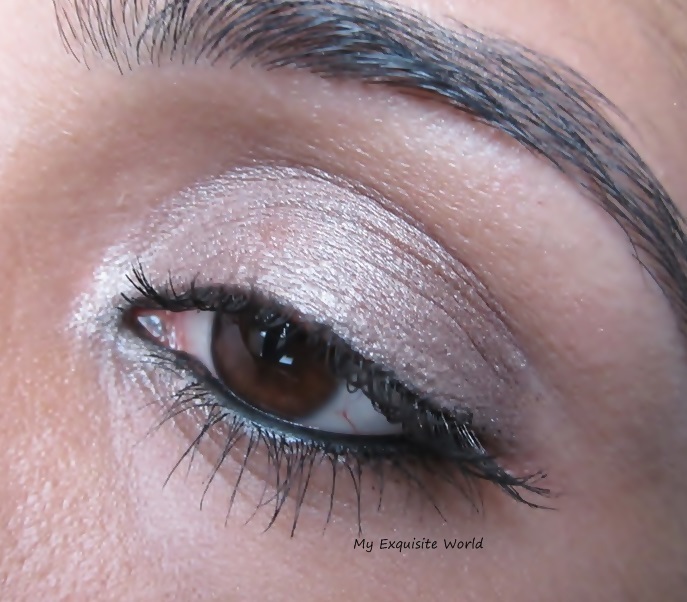 in a cream base-BeYu Color Biggie Satin Taupe(330) ??? 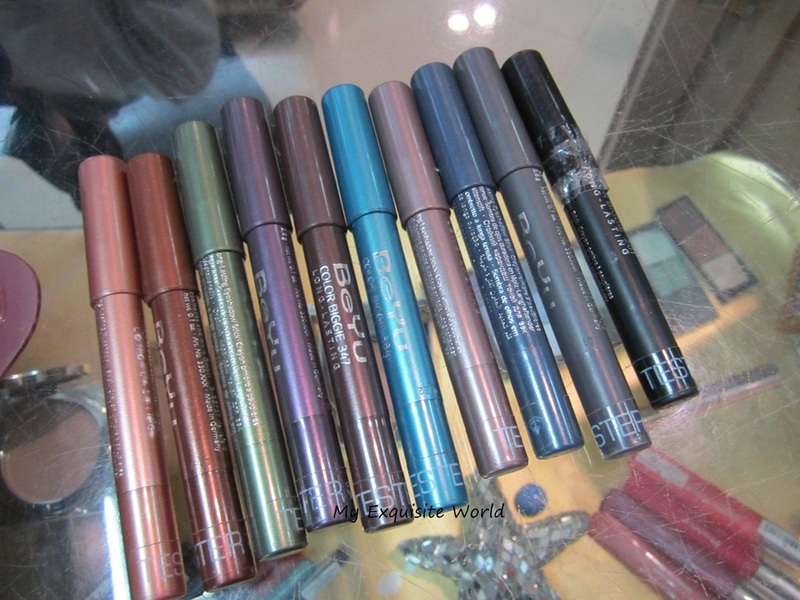 PRODUCT CLAIMS:The popular Color Biggies are back and provide an eye shadow, kajal liner and highlighter all in one. 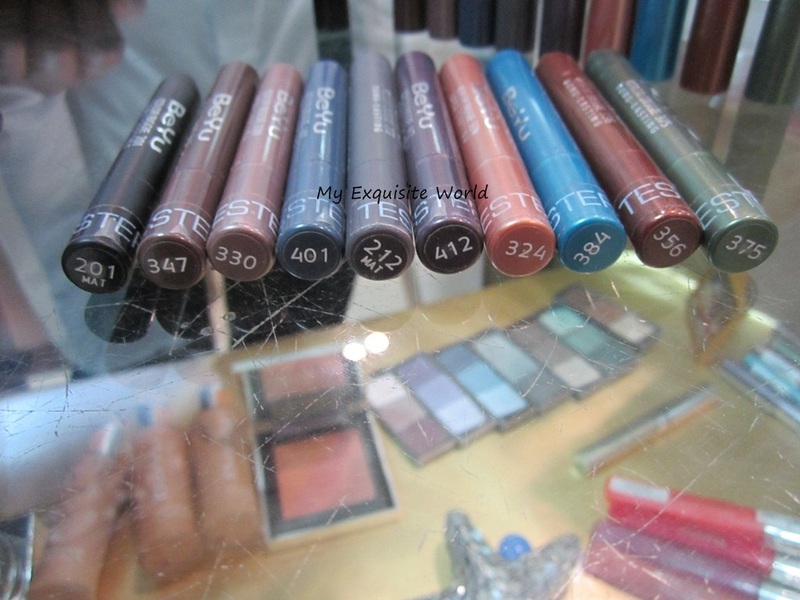 The new color intensive Color Biggies with an improved texture are water resistant and long lasting. Since no applicator is needed, the Color Biggie is can be applied intuitively and creates a professional eye make up for the untrained. 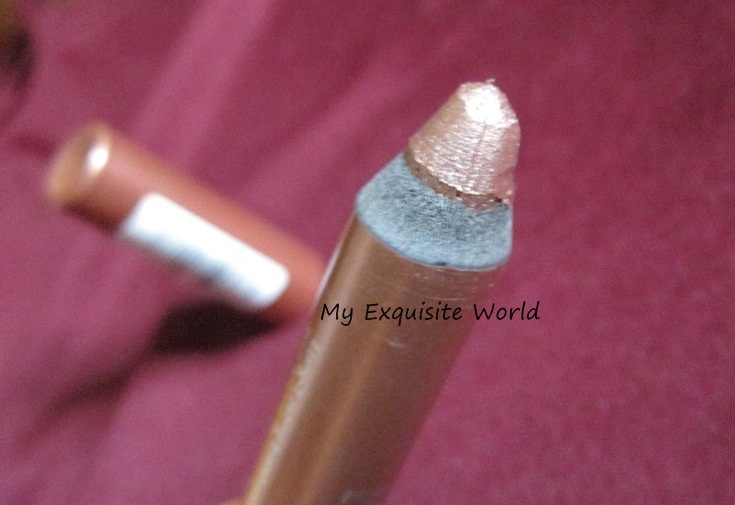 Whether it is used as an eye shadow for the whole eyelid or as a kajal liner for contouring, the pencil glides smoothly over the skin and leaves behind a light feeling. 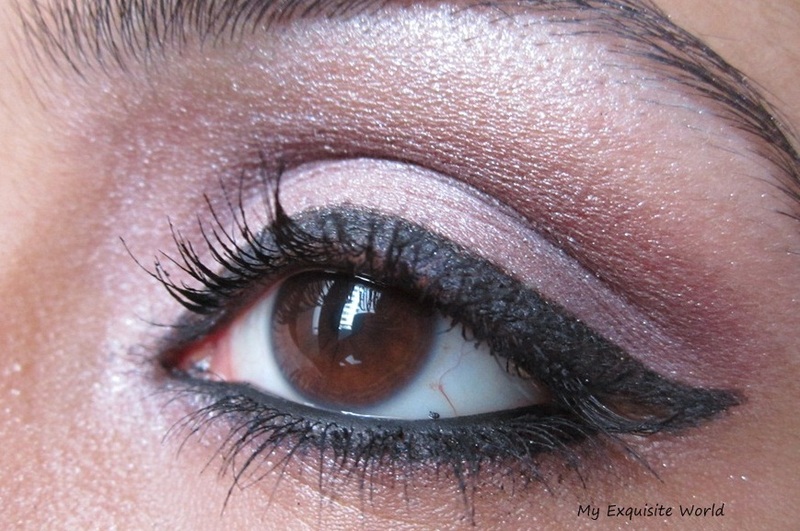 The lighter shades can even be used as a highlighter if applied below the eyebrow or in the inner corner of the eye. 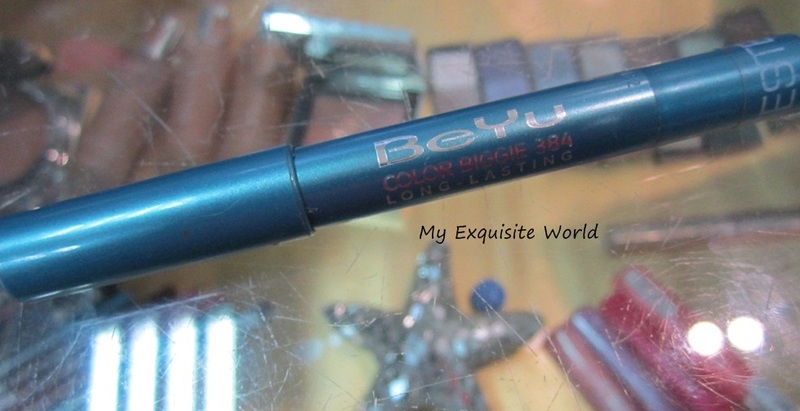 The BeYu Color Biggies are free from mineral oils and preservatives. PACKAGING: They come in a chubby pencil kind of packaging with a cap.The color of the pencil body is similar to the shade.Shade number are provided at the bottom as well as on the middle!! 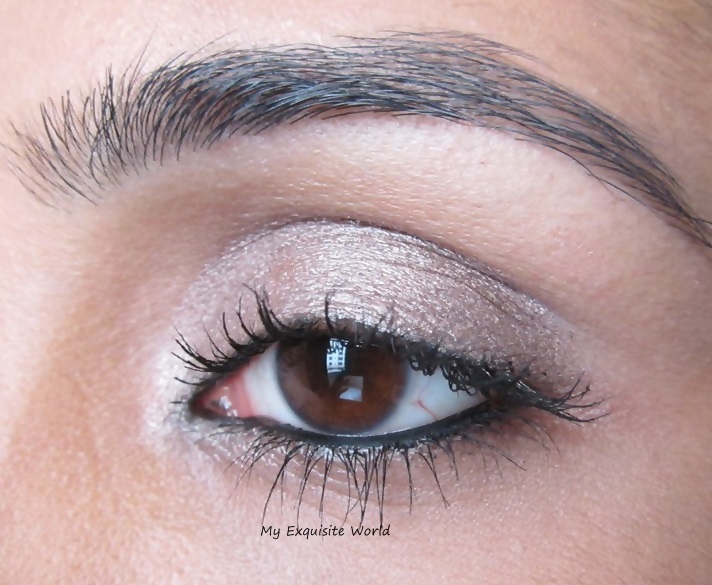 SHADE: Satin Taupe is a very versatile taupy brown with a glossy finish.It is sans any shimmer and has sheen to it.I consider this shade as a cream base dupe for MAC Satin Taupe eyshadow..watsay?? 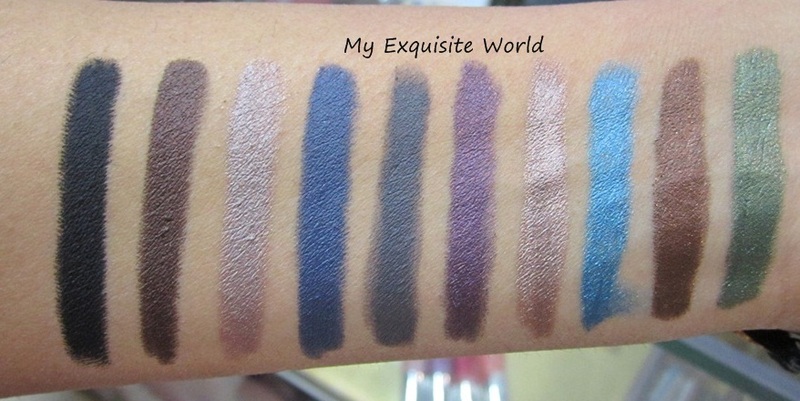 You can check out swatches of all the other shades in this range HERE. 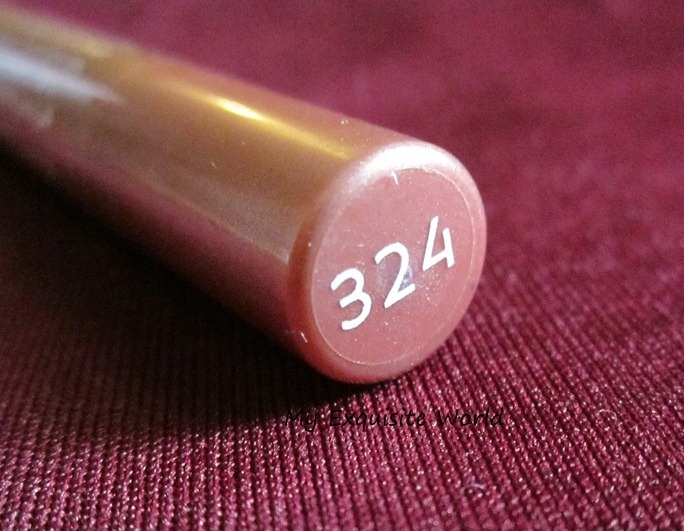 TEXTURE,FINISH & STAYING POWER:The texture of the stick is very smooth.It glides on easily and doesnt look streaky.It is creamy and decently pigmented.The shade provides glossy finish.I prefer this shade more for neutral looks.It gives ample time to blend and combine with other shades. It stays for as long as I wear it and comes out easily with oil based makeup remover.It doesnt crease on my medium oily lids. 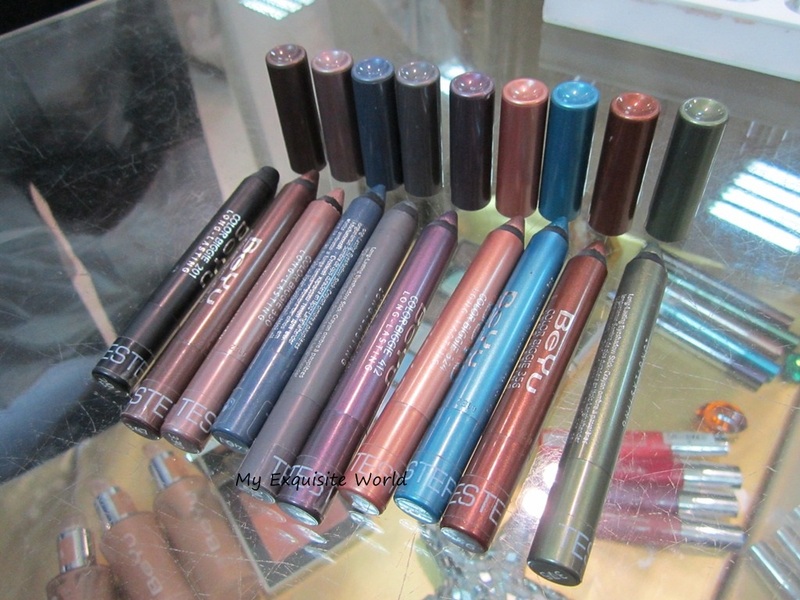 These color biggies are great when used as eyeshadow,base for powder eye shadow and the darker shades can be used as kohl also.The only con for me is the wastage that occurs as it has to be sharpened. 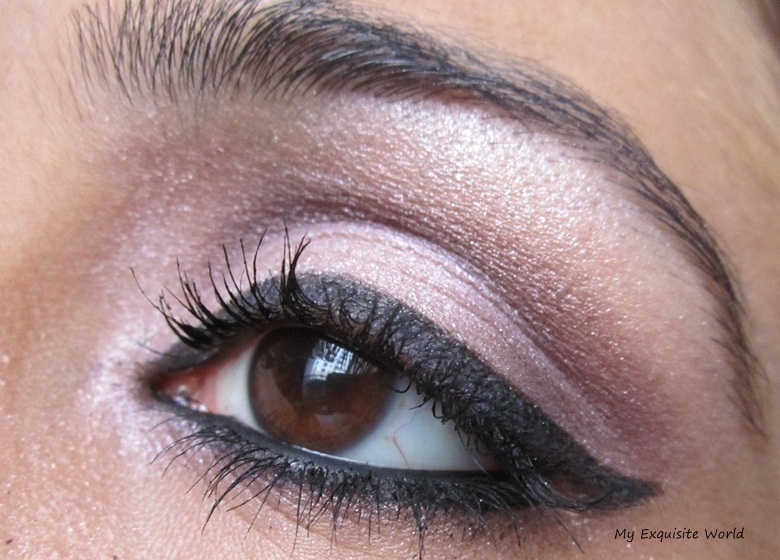 pretty shade for day look as well as for neutral looks. the shade is apt for office wear. 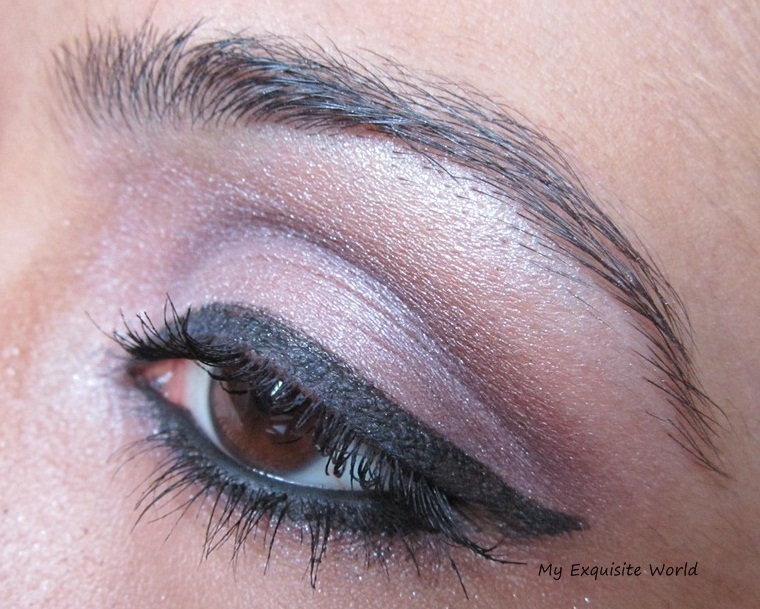 can be used a s an eye shadow,eyeshadow base,kajal. a little expensive but an excellent product so worthy !! 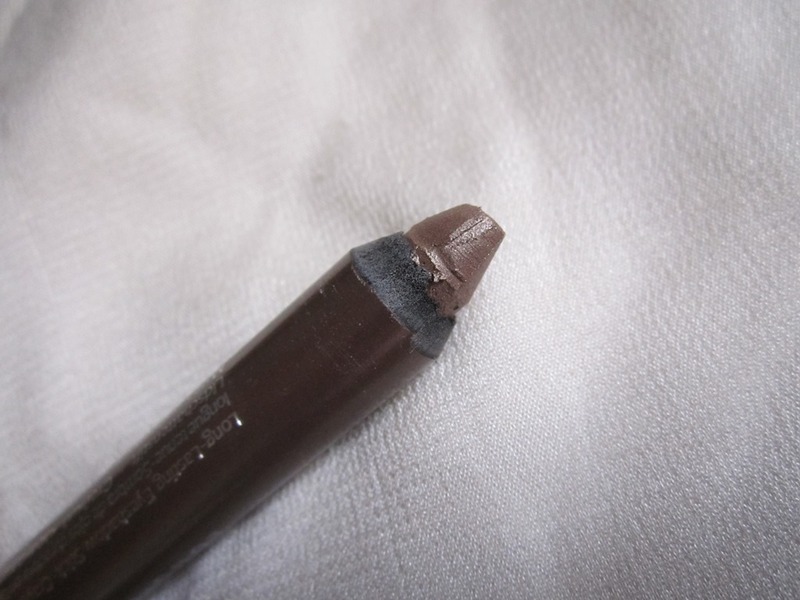 breaks and leads to wastage in sharpening. 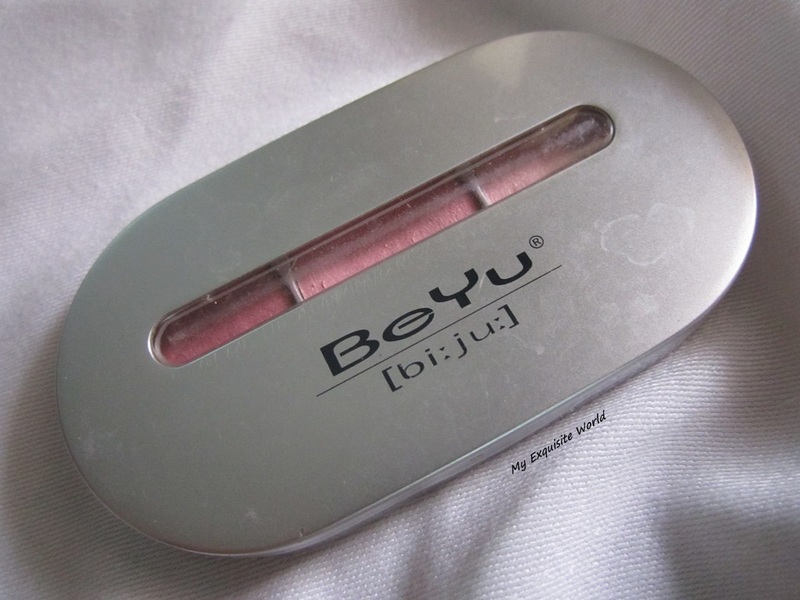 So,today I ahve BeYu Duo eyeshadow for you girls.My earlier experience wasnt too good but this Duo is completely different from the former one. 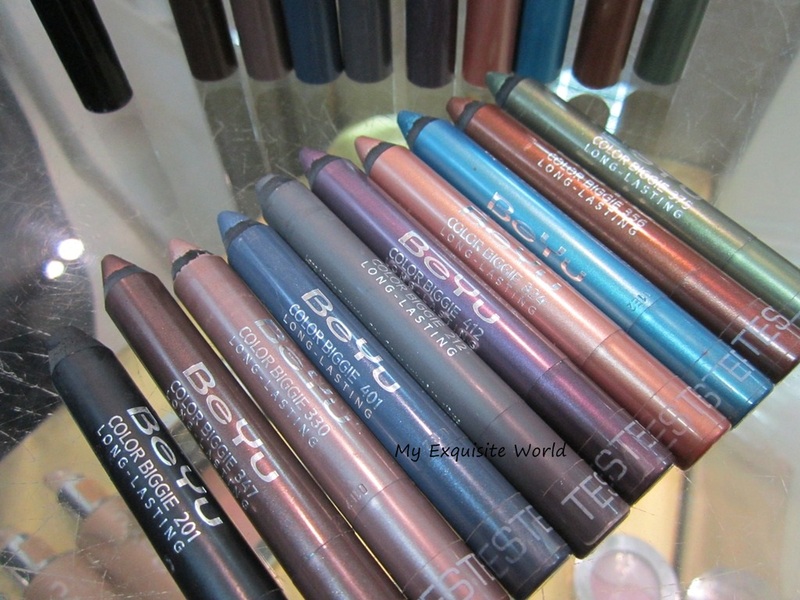 PRODUCT DESCRIPTION:Amazing colors for any occasion: The BeYu Duo eyeshadow captivates with its unbelievable colour spectrum, full of natural, trendy and intensive shades! PRICE: Rs.550 for 2 gm. 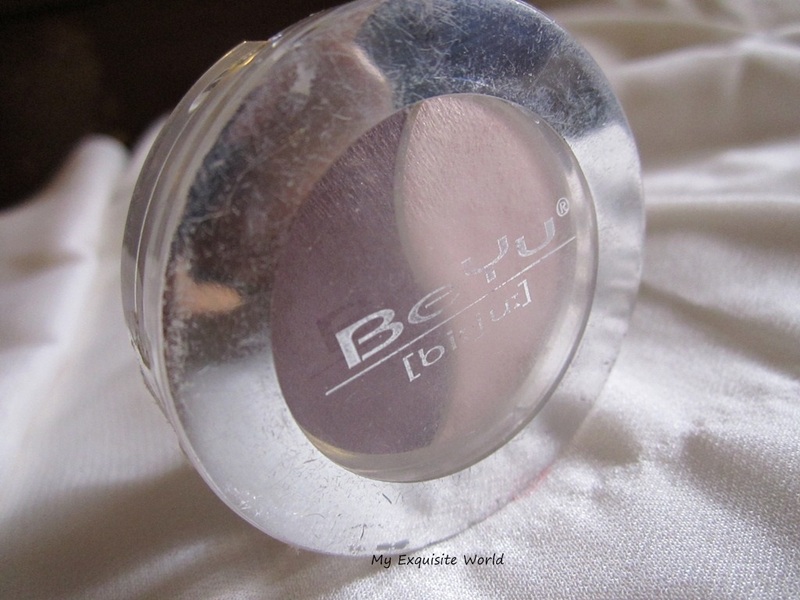 PACKAGING: They have a round pot packaging with a transparent lid and body and 2 shades that are distinguished by a curvy line. The packaging is neat and travel friendly. 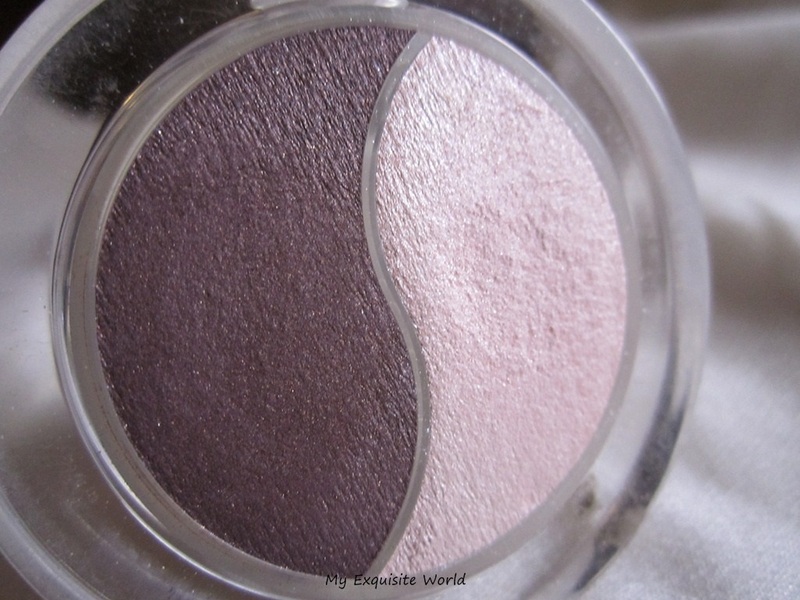 SHADE: The two shades present are : a shimmery lilac pink.This ahde is too shimmery.The other shsde is a deep plum.It has sheen. 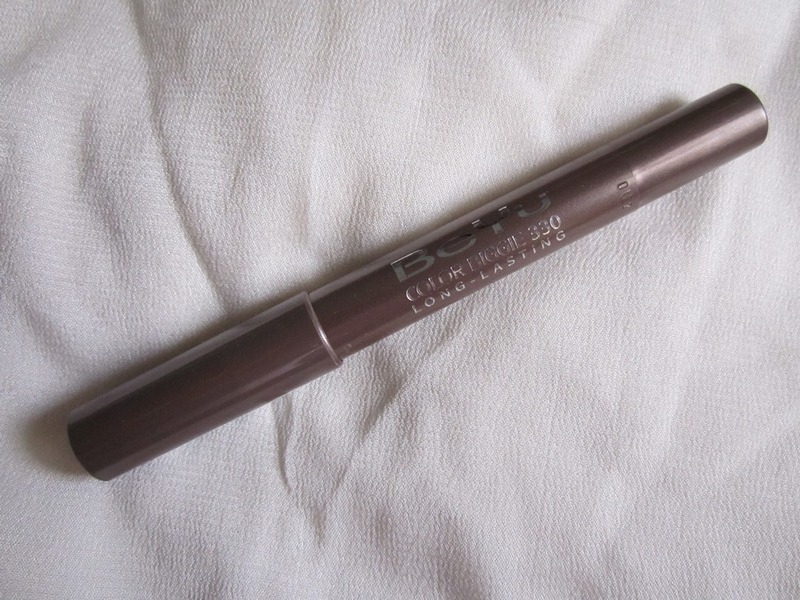 OVERALL PERFORMANCE: Unlike my earlier experience with BeYu eyeshadow Duo (which i really hated!! 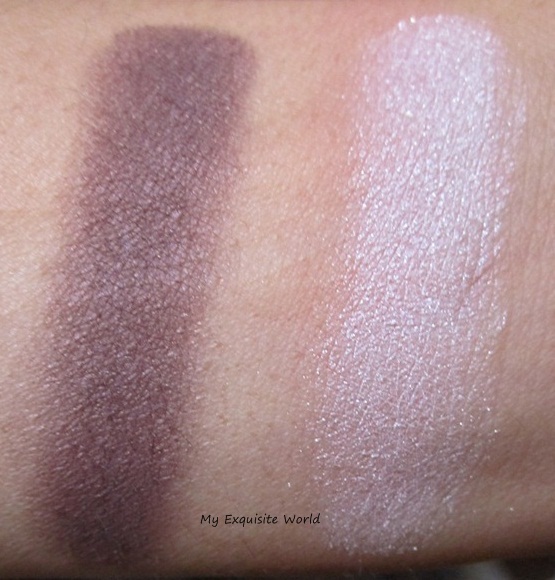 ),this came as a pleasant surprise.I was in no mood to but but the SA insisted on giving it a chance and I am really happy that i bought this.I am really loving the shimmery lilac pink although it is way too shimmer and that too silver shimmer as against golden shimmer that suits me.This shade brightens up my eyes.Th edarker shade blends beautifull with this and the look that is created is stunning. 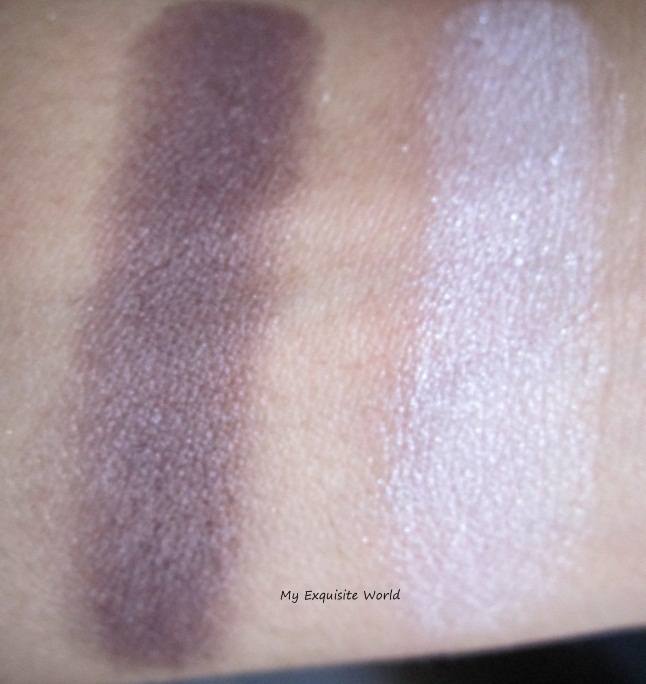 Sometimes,i use this duo for smoky looks,sometimes,i use the shade alon,and sometimes,i decrease the intensity of the deep plum shade ofr a day look.In any way,the shades work well. The shimmery shade has a lot of fallout but the deep plum has sheen. 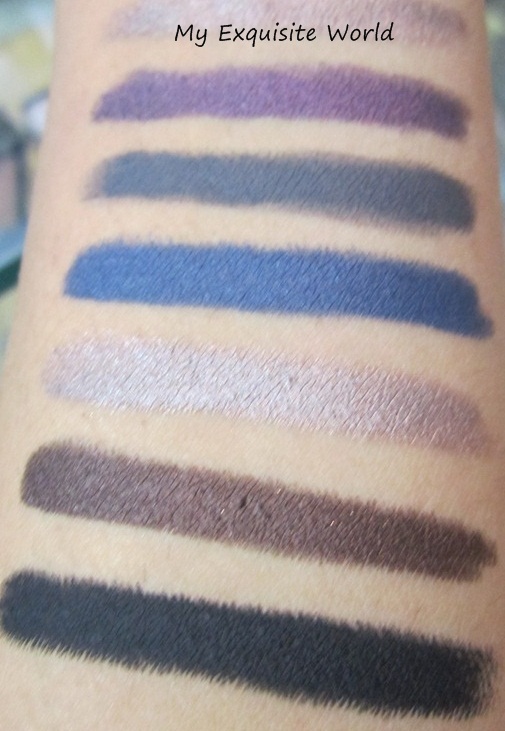 The texture if the eyeshadows is soft and the shimmer isn’t gritty.They apply easily . Both the shades are decently pigmented .I have used the shades wet also and they do intensify a but and look more settled as the shimmer doesn’t fly away too much!! The staying power is around 6-7 hours which can be increased with a primer underneath. After around 4 hours,i can see slight fading in the crease. However,i do feel that the staying power will be low on oily lids and the eyeshadows may crease a bit. the eyeshadows blend together very well. the two shades are decently pigmented. can be used for many looks. doesn’t crease till 5 hours. the packaging could be better. a bit expensive considering BeYu as a need brand. RECOMMENDATION: It is a great combination and the two shade work together very well in creating a smoky look.Definitely worth Checking out!! PACKAGING: They come in a fat pencil kind of packaging with a cap.The color of the pencil body is similar to the shade.Shade number are provided at the bottom as well as on the middle!! SHADE: 324-Cappuccino is a beautiful,gorgeous champagne shade with slight taupe undertones! 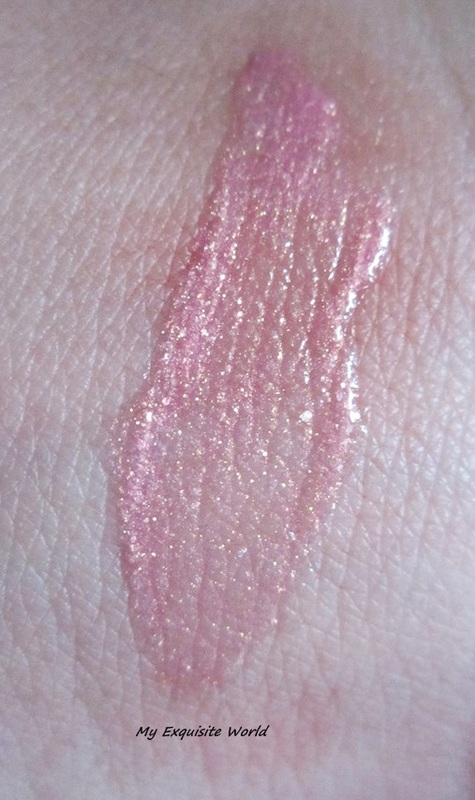 !It looks really pretty on lids and has a velvety feel sans any shimmer but a glossy sheen. 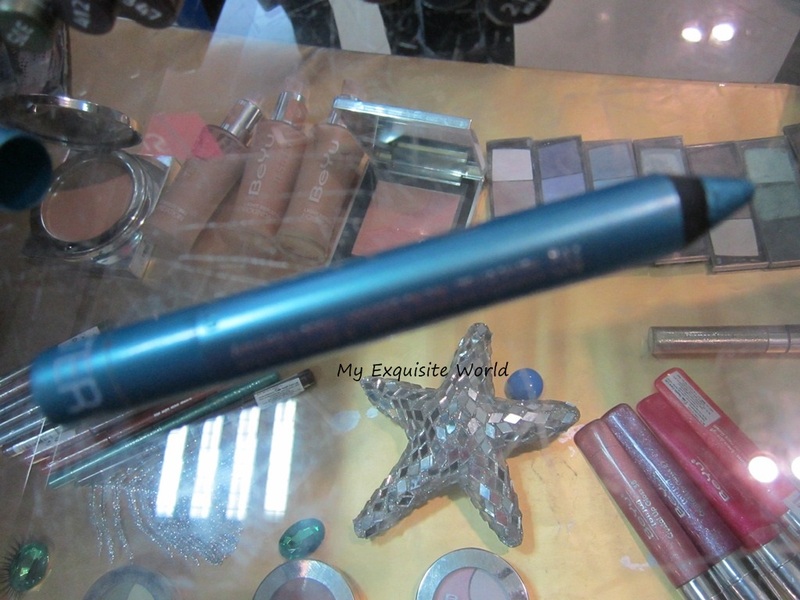 TEXTURE,FINISH & STAYING POWER: The texture is incredibly soft and amazing.It glides on smoothly on eyes and doesnt crease. 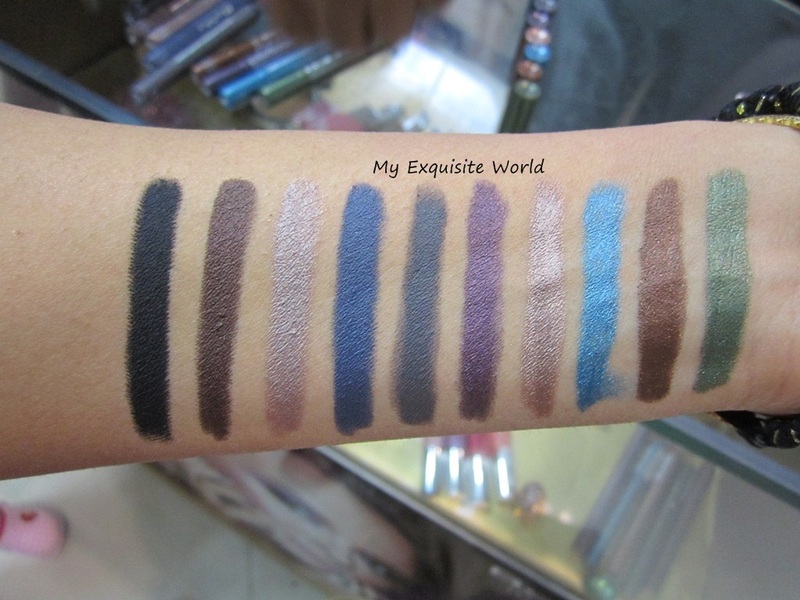 These color biggies are basically cream shadow s that can be sued a s liners,eyeshadows and highlighter and I totally heart them for there job.This shade is too light to be used as a kajal or liner so i used it as an eyeshadow when i want to do a neutral eye look in a jiffy!!! 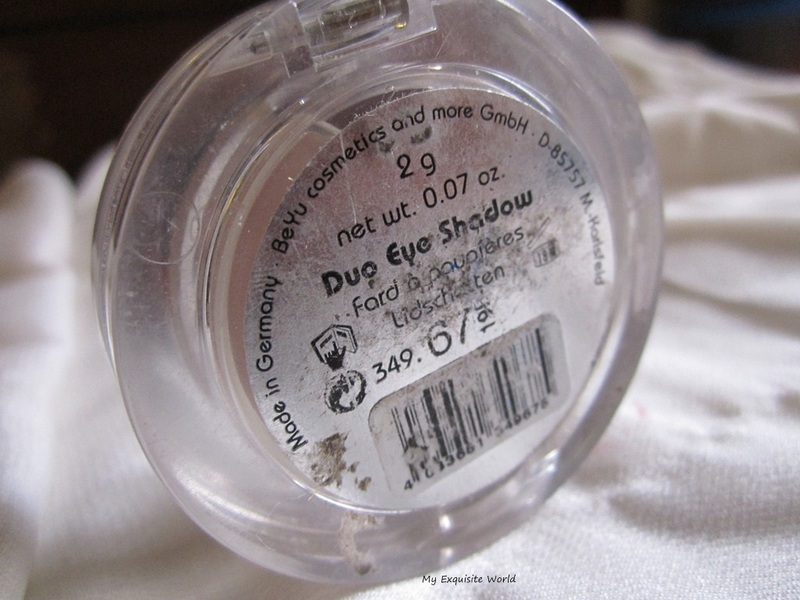 It can be used in the inner corners of the eyes for highlighting as well as an all over lid cream shadow. It never flakes and the best part is the staying power.I have worn this maximum for about 10 hr and it looks fresh after that also. 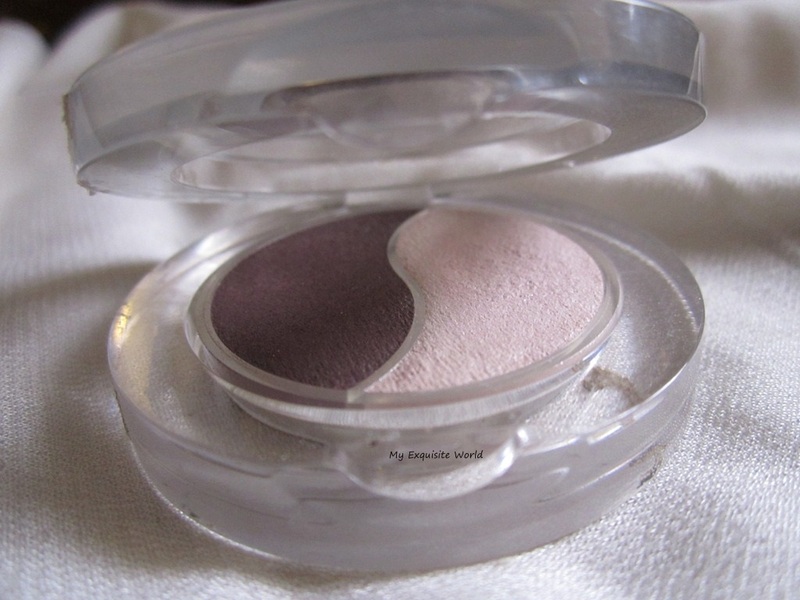 These are easy to blends and work wonderfully as an eyeshadow base.I am totally smitten away by this shade as i it one of my personal favourite and I am looking forward to buying more as doing an eye look with this is a such a dream. 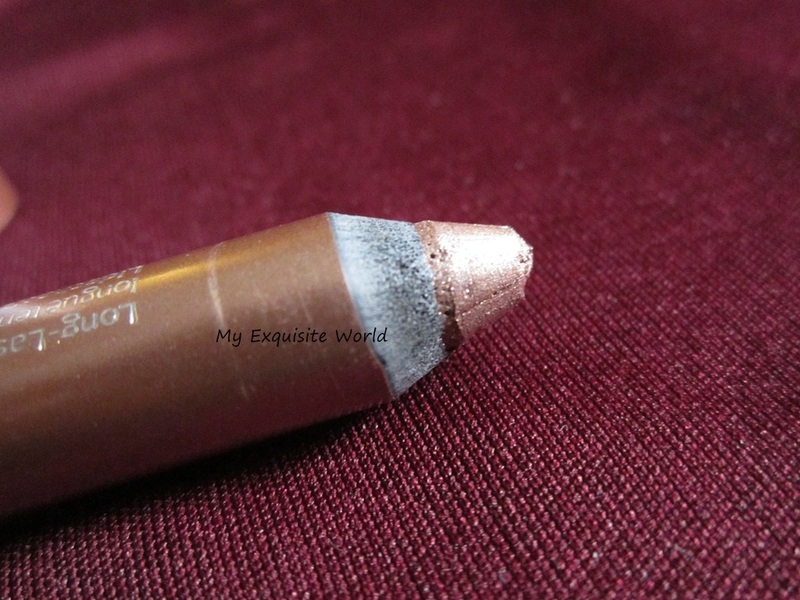 Alos,little goes a long way.I have used the pencil almost 4-5 times all over lids but I hard felt the need to sharpen it.Today,i have sharpened it for the first time but i would earn that these are sift and break if sharpened fast. 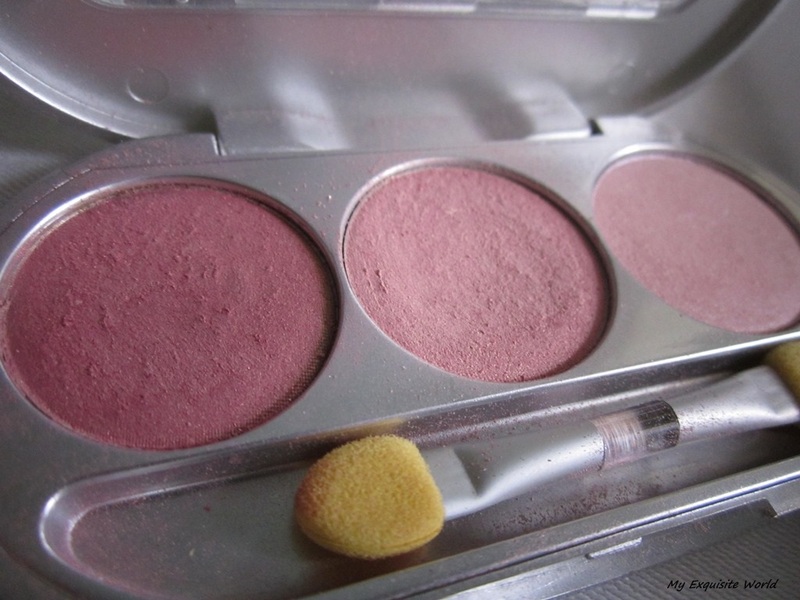 can be used a s an eyeshadow,highlighter,eyeshadow base,kajal. RECOMMENDATION: Highly recommended.Try the matte black shade if you love kajal and want it to be the blackest of all!!! 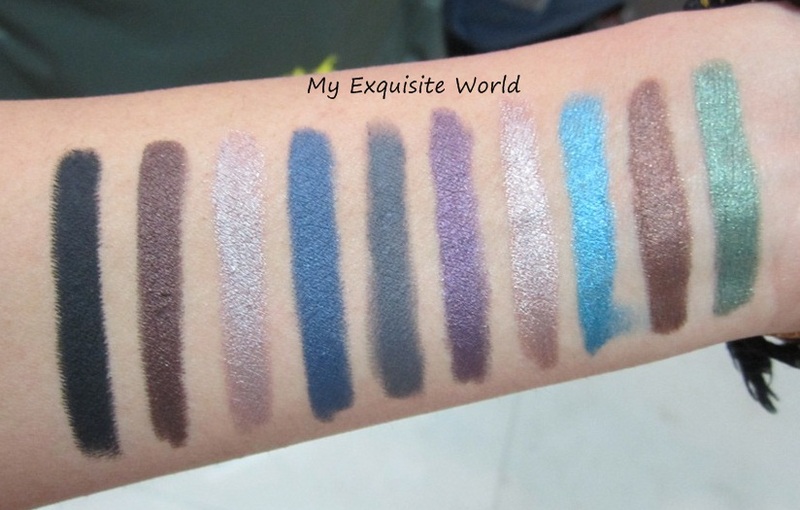 SHADES:Out of the 18 shades mentioned on the site,10 shades are introduced and the SA told me that more shades would be added soon. 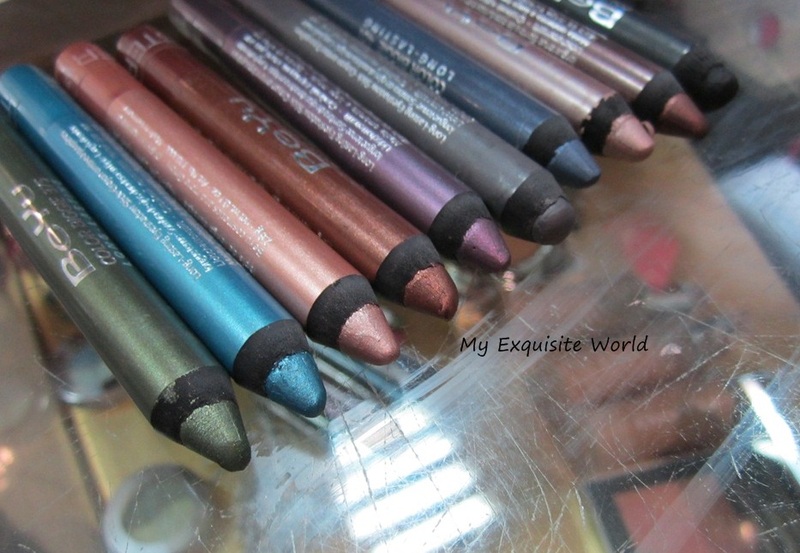 I am really impressed by the shade range and all over performance. The texture is super smooth and _____________________________________________________(more pros in another post!!! ).You have to wait!!!! 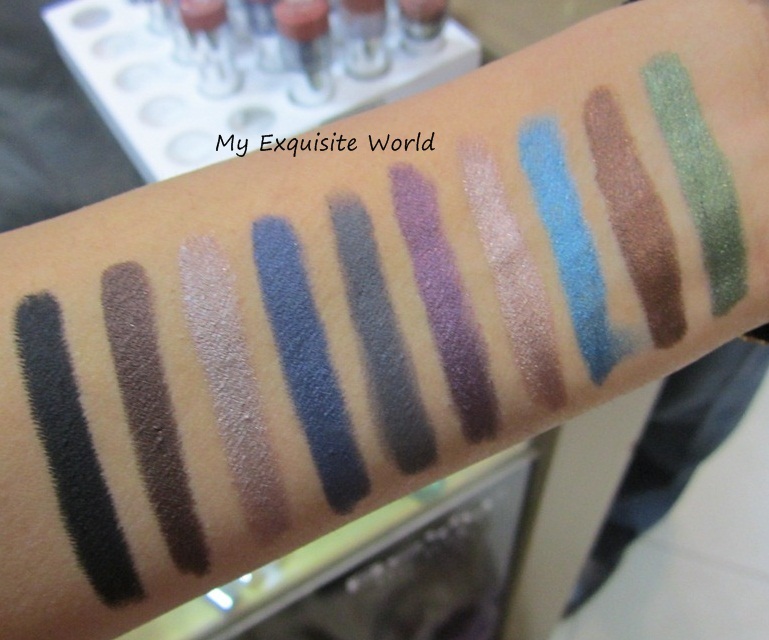 Now,lets have a look at the shades and swatches!!! 201(mat:)-Black: a highly pigmented matte black.It is very smooth and blackest of all.Can be used on the waterline as well as on the entire eyelid.Very long lasting. 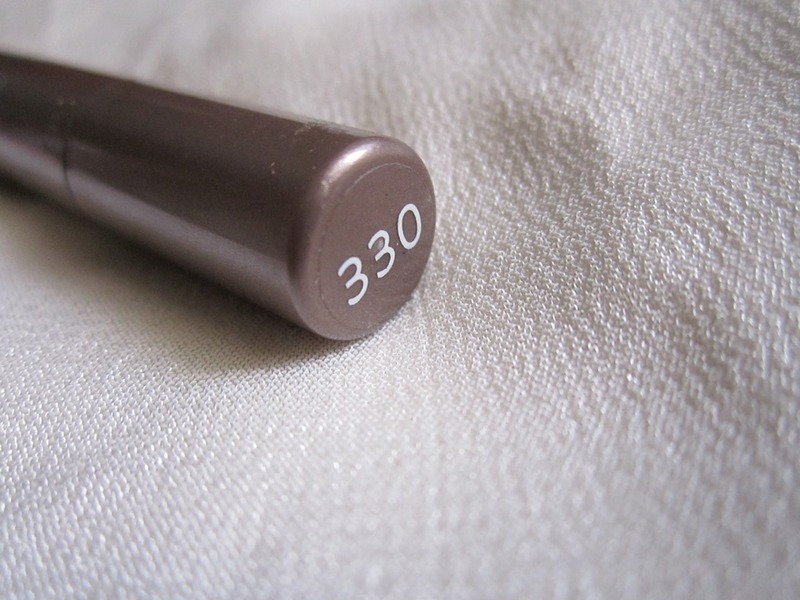 330-Satin taupe: A taupe brown with glossy finish. 212(mat)-Smoky grey: matte grey<3!! 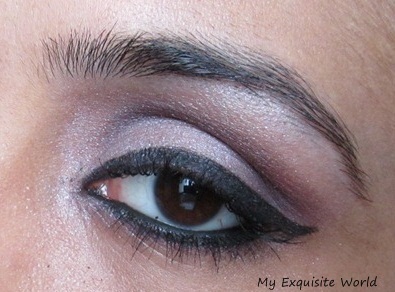 perfect for smoky looks. 412-Abstract Violet:a beautiful intense purple shade. 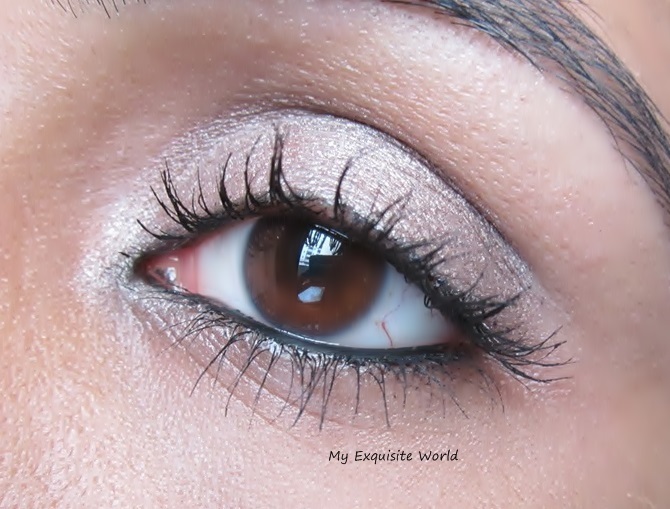 324-Cappuccino: a beautiful,gorgeous champagne shade with slight taupe undertones!! 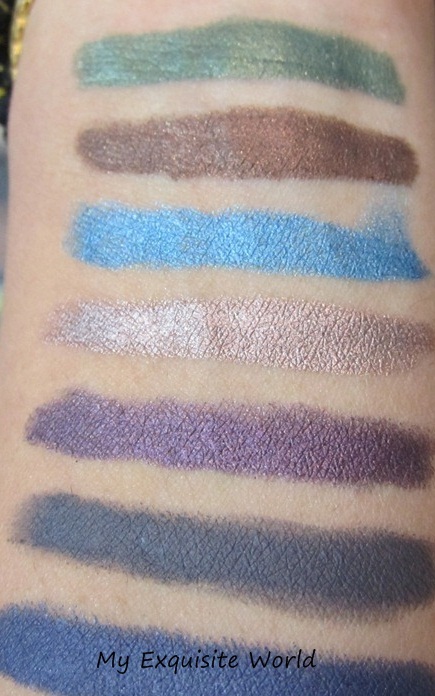 All of them are decently pigmented and these swatches are taken with one swipe and no base underneath.The texture is smooth and buttery.These are basically cream eyeshadows but can be used as a liner or in waterline. One more thing,these are extremely LONG LASTING and non-fading!!! 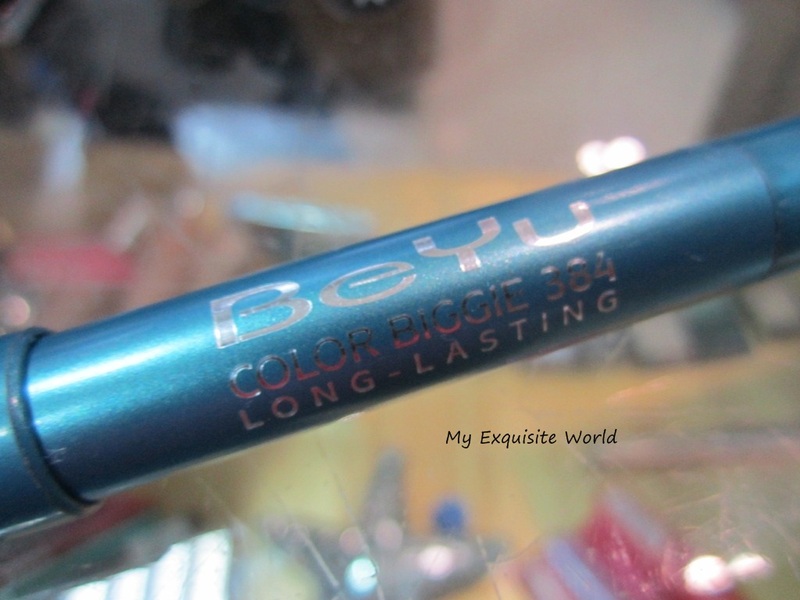 Have you ever tried BeYu cosmetic products? Can you guess which shade I bought?? ?